The ZF Innovation Truck is impressive with its intelligent solutions for heavy-duty transport. Thanks to its TraXon transmission with hybrid module, it is able to drive electrically and locally with zero emissions. On inter-city routes, the Innovation Truck benefits from the TraXon transmission’s GPS module, which automatically selects the shift points that match the topography. On long-haul journeys, Highway Driving Assist (HDA) ensures that the truck automatically stays in the center of the lane and at the correct distance from the vehicle ahead – which is a real benefit for the driver. Once it reaches its destination, the Innovation Truck can move autonomously in depots. Its 360-degree, real-time monitoring with Sensor Fusion, in conjunction with powerful actuators, guarantees maximum safety – for example when braking in the event that a pedestrian is detected. Autonomous connection and disconnection of the trailer saves time and money and allows the driver to rest for a longer period of time. The condition of the cargo is already monitored continuously during the journey and is documented in the cloud. Fleet managers value the fact that the TraXon transmission is equipped with predictive maintenance functionality. This means that maintenance or repair work can be integrated into the fleet’s daily routine in advance, with minimal interruptions due to downtime. The ZF Innovation Van impresses in intra-urban environments with its emission-free electric drive and autonomous driving features. The time-consuming search for a parking space – or second row parking to make a delivery – is no longer necessary. The driver simply exits the vehicle and sends it to the nearest delivery address or free parking space. The order of delivery destinations is optimized by the cloud and constantly adapted to changing circumstances. 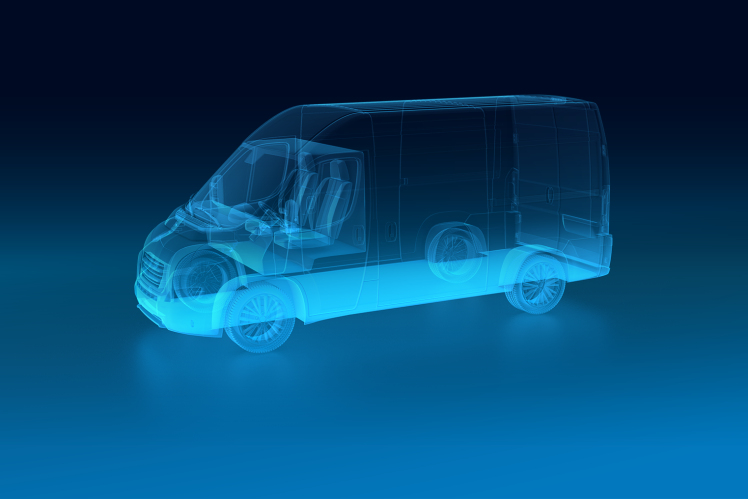 Pedestrian detection, the ability to monitor its surroundings, and the ability to recognize traffic lights allow the ZF Innovation Van to drive autonomously in urban areas. It is capable of identifying obstacles and making the right decisions, even when dealing with complex traffic situations. This allows the driver to enter the vehicle again at any time and continue the delivery process – with maximum time savings and unparalleled efficiency. The Terminal Yard Tractor combines the emission-free distribution of goods at the depot with maximum safety. Semi-trailers are transported to their destination autonomously, without drivers. In conjunction with the ZF ProAI supercomputer, the ZF Sensor Set ensures that pedestrians and obstacles are detected and initiates the correct reaction. This makes the Terminal Yard Tractor the right solution on the path to emission-free and cost-effective depot logistics. Buses with electric drives can already significantly reduce the level of pollution and noise in urban areas. Electric drives from ZF, such as CeTrax and AxTrax AVE, allow clean and electric drives to even be used on the basis of existing platforms. People movers will completely change urban mobility – and build a bridge between private transport and public transport. They are synonymous with “Next Generation Mobility.” Thanks to its end-to-end systems expertise and comprehensive portfolio of necessary components – from sensor technologies and extremely powerful control computers such as the ZF ProAI to electric drives and electric steering and braking systems – ZF is the ideal development partner for this new form of mobility. The ZF Innovation Forklift combines digitization, automation, electrification, and connectivity. It demonstrates the path to the autonomous industrial trucks of the future and carries out highly automated work orders by independently selecting the storage location, picking up the goods, and transporting them to the customer. Car and commercial vehicle traffic is at risk of collapsing. We can only achieve a new level of efficiency and convenience by connecting everyone on the road. 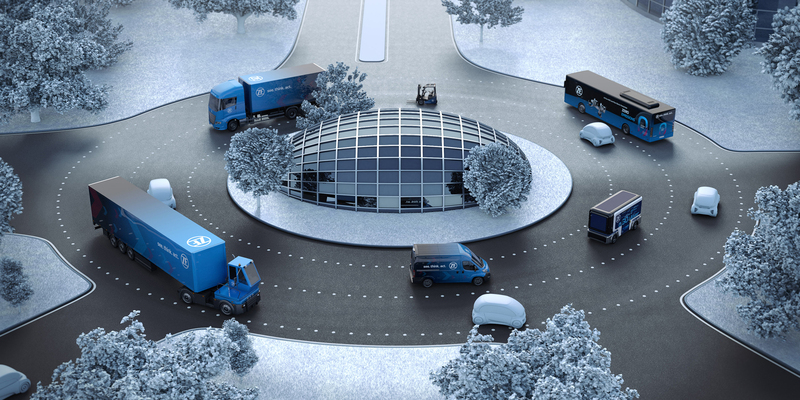 ZF’s unique systems expertise delivers pinpoint “smart logistics” solutions. – These allow a delivery vehicle, for example, to find its own parking space or to follow the courier on foot. Autonomous systems will first become prevalent in clearly laid out and confined areas such as depots or specially designated intra-urban areas. ZF is already developing the right solutions for “Next Generation Mobility” today. The electrification of the driveline can no longer be stopped. 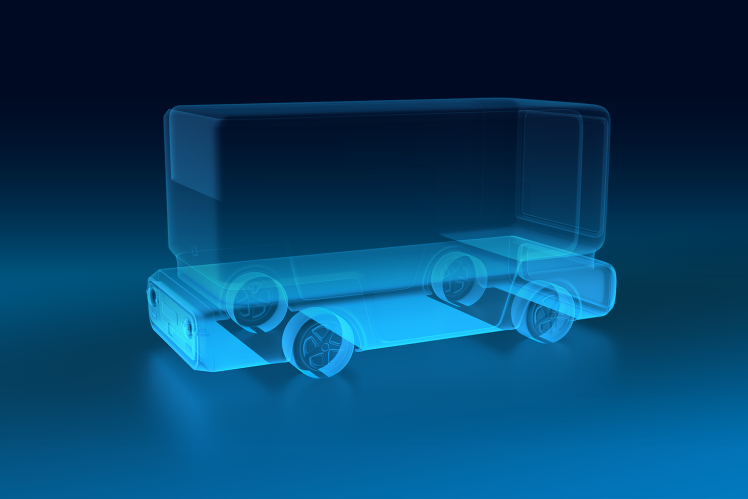 Fully electric and hybrid electric drivelines are the key to ensuring transport and logistics services can be provided in the future, especially in urban areas.